As the saying goes, the man is just what his name shows, and this truth is also reflected in the electric heating mantle.electric heating mantle,just as its name shows,Mainly heated by electronic pressure regulation.it is a common heating instruments in lab.with the advantage of high temperature,fast heating,easy to operate,durable.so it is considered the most ideal instrument for conducting accuracy temperature control experiment.The electric heating mantle is made of alkali-free glass fiber as the insulating material. The alloy wire is first made into an insulated heating rope, and then the heating body of different sizes and specifications is made according to the national standard flask size by pure hand knitting method, and heating is performed.The electric heating mantle has a constant heating function, which means that there is a risk of burns. What precautions can be taken to avoid risk when using the electric heating mantle?Now I will give you a simple introduction of the precautions when using the heating mantle. I hope to provide some help for everyone. 1. the instrument should have good grounding. 2. 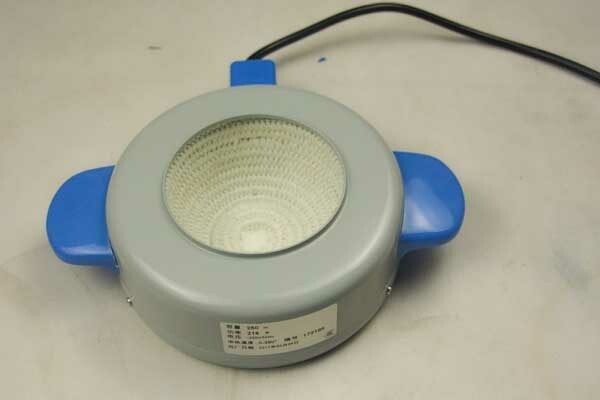 Plug in the power ,turn on the switch,green light indicates power supply and red light indicates heating,Adjust the knob clockwise, the temperature will be low to high. When the knob is adjusted to a certain scale, the sleeve reaches a certain constant temperature, but the thermometer is needed to assist the measurement. 3. 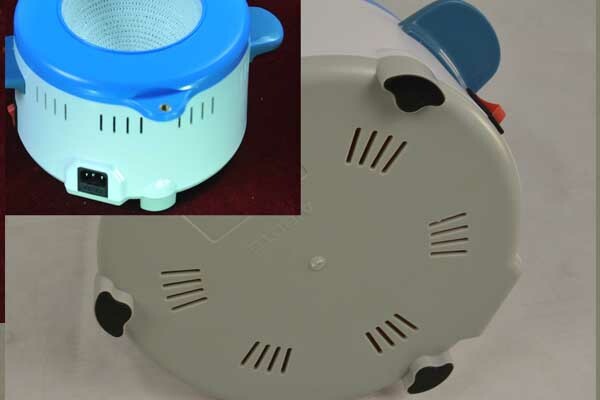 When the electric heating mantle of 3000ml or more is used, there is a squeak sound which is different in the structure of the furnace wire and related to the thyristor voltage regulation pulse signal, and can be used at ease. 4. If you find that there is no power, please check if the right rear insurance needs to be replaced. 5. Please do not empty or heat dry. 6. If there is a wet hand, liquid overflow or long-term humidity is too large, there may be induction electricity transmitted to the outer casing through the insulation layer, please connect the ground wire, and pay attention to ventilation. If the leakage is serious, please do not use it again. It should be placed in the sun or dried in an oven to avoid danger. 7. When not in use for a long time, keep the instrument clean and store it in a dry, non-corrosive atmosphere. 8. When used for the first time, white smoke and odor appear in the mantle, and it is normal for the color to change from white to brown to white. 9. For the first warming, the temperature can be adjusted higher or adjusted to the highest. When the temperature rises to the desired temperature or the solution is boiled, the knob can be lowered to heat the insulation to prolong the service life. When not in use for a short time, the knob can be adjusted to 0. , that is, stop heating. Turn off the power when not in use for a long time. 10.Because the motor and magnet of the agitator are limited in temperature, the low-temperature biochemical incubator is used for heating test, especially for high-temperature heating test. The instrument cannot be used for heating alone. Please adjust the motor to rotate or rotate at low speed (idle) to prevent Motor, magnet, damaged by high temperature radiation. 11.When the high temperature heating is finished, please turn off the heat first, and then turn off the stirring after a few minutes. 12.The temperature of the heating part is high,so be careful when working to avoid burning. 13.When the liquid overflows into the mantle, please turn off the power quickly, put the electric heating mantle in a ventilated place, and use it after drying to avoid danger of electric leakage or electrical short circuit. 14. Do not use it dry. When the product is in a heated state, it should be guarded by someone! 15. Since the glass fiber is produced with a layer of grease, it should be slowly heated for the first time. After turning off the white smoke, turn off the power supply. After the smoke is scattered, it is energized. Repeat several times until it is energized and smoked. 16. When storing this product, keep the surrounding environment dry and do not get damp. If it is wet, please pay attention to the induction electricity when using it. Do not touch the inner core slowly. It should be heated slowly to restore good insulation performance after drying.